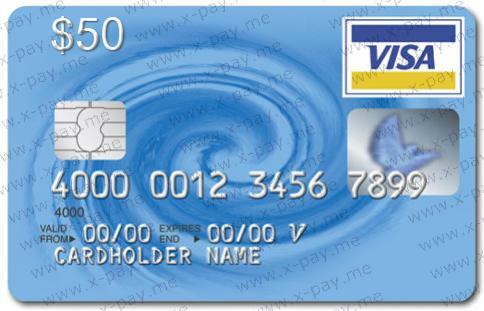 This is a virtual prepaid card designed exclusively for purchases on the Internet; The card is a complete analog of the usual plastic Visa, but only in electronic form. When buying, you automatically receive the card details: a unique sixteen-digit card number, CVV2 code and expiration date of the card. The procedure for making a purchase with this card on the site you need: enter the card details given to you, enter ANY name and ANY name, as well as ANY Russian address. All data is entered in English letters. Maps have excellent cross on a huge number of sites, both Russian and foreign, working with users from Russia. It is recommended to buy a card with a margin of a few dollars (minimum 1) in case of pre-authorization of the card by the service where you use it, possible hidden fees or other surprises. Карта не прошла 3DS-аутентификацию либо отклонена платежной системой. Прошу заменить товар! Купил карту, но она не подошла к Фейсбуку. VISA VIRTUAL USD from $ 1 to $ 10 + Check. FAST.